These symbol substitution ciphers are extra tricky, but don’t let the level of difficulty dissuade you! You can be quite proud of yourself if you crack these puzzles! Hard Symbol Cipher 3. 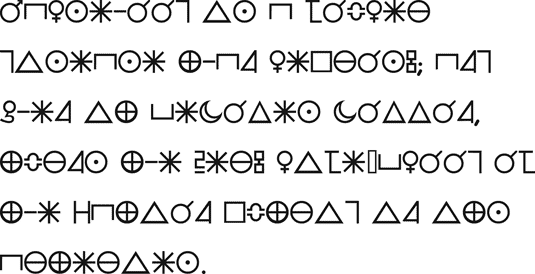 Shorter cryptograms are often more difficult to solve, as the letter frequencies can be skewed. Don’t give up on this one! The last word starts with A. The second words starts with P.
The first letter is W.